Talking about the new Hathaway book over at Oddshots! 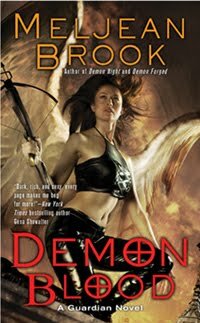 Currently, I'm reading Demon Blood by Meljean Brook (out in July). I think Meljean's writing gets more beautiful with every book. The emotional intensity of the relationship between Rosalia and Deacon is so incredibly compelling - I stayed up way too late last night reading "just one more page." If you haven't read Meljean's books before, she has lots of info over here. Your turn! What've you been reading and loving this week? You all know how much I love Ilona's books, so it'll come as no surprise that I think this book is fantastic. 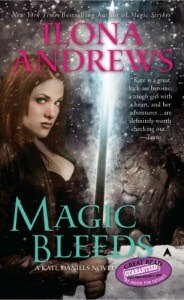 Magic Bleeds is out now, so check it out! (And if you haven't read this series, start with book 1 - Magic Bites). 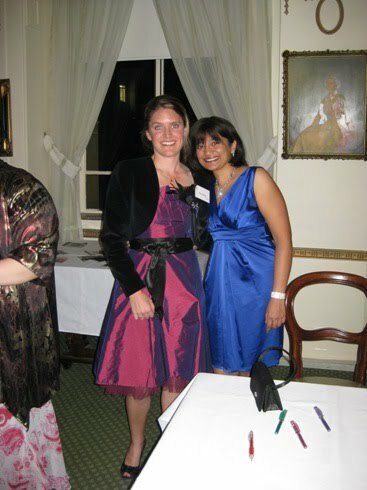 Last week, I had a radio interview with the lovely Helen Lowe. If you'd like to listen, go to this link. How is the week going for you all? 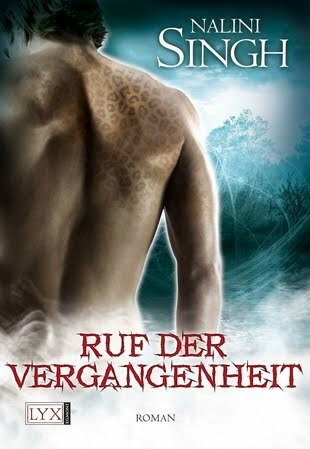 Check out my gorgeous new German covers! Talking about romantic movies over at Oddshots. How's the reading going everyone? I have two pieces of news to post today. First, my updated release schedule! 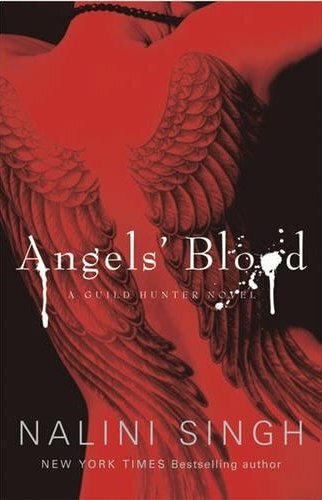 I'm also super excited to share that Branded By Fire, Angels' Blood, and Angels' Judgment (from the Must Love Hellhounds anthology), have all been nominated for the Sir Julius Vogel Awards in New Zealand!! A Facebook friend, Rasit Ra, sent me a link to some artwork she created that was inspired by Raphael and Elena. Isn't it gorgeous?! (Click on it to see a larger image). As always, if you'd like to use this as an avatar, please ask the artist first. ...is the title of the third Guild Hunter novel! 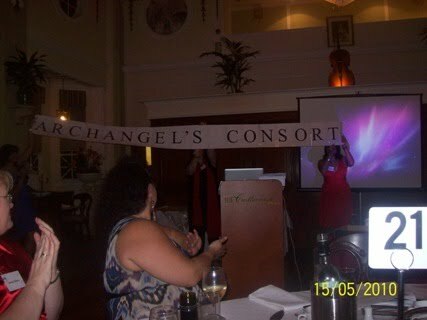 I announced it this weekend at the Australian Romance Readers Association Awards Dinner. I had a wonderful time at the dinner. If you'd like to read about it and see more photos, follow this link to my post at Oddshots. Talking of Archangel's Consort, I turned it in on Friday. It continues Elena and Raphael's story, and you find out a lot more about them both in the book. Elena's friends from the Guild return, and a number of the Seven play strong roles - you get to discover more about a couple of them in particular. Further info to come later in the year! Today, I'm tidying my office, as I like to have a clean desk before I start the next project. :-) And, since I'm now moving from a Guild Hunter book to a Psy/Changeling book, this is the time when the Manhattan & New York maps come off the walls, and the San Francisco & California maps go up; the story bibles get swapped; and all the timelines, as well as random notes about the GH series on my desk and on the wall get collated and put away. I'm having this week off, but after that, I'll be beginning work on Psy/Changeling #10 which is Hawke's book. I won't be sharing much about this book until I get well into it, but with Bonds of Justice and Play of Passion releasing soon, there shall be much Psy/Changeling goodness. I saw a few comments on yesterday's post mentioning that we haven't seen that much of the wolves to date. Well folks, that is about to change. Play of Passion takes you into the SnowDancer den, introducing you to all of the SD lieutenants, as well as other key members of the pack you haven't yet met. 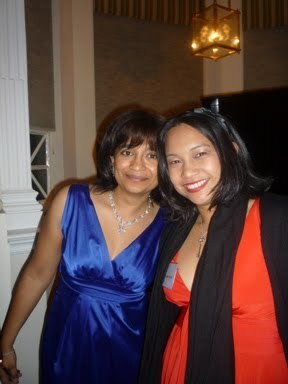 And, to close, here are some more photos from the ARRA Awards dinner! With Kat (above) and Larissa (below) from Book Thingo. 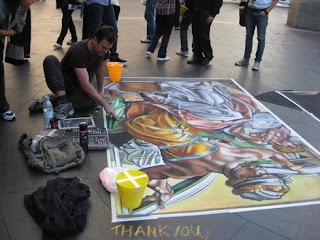 This last shot is of a street artist I saw in Sydney while walking around with author Tracey O'Hara. Beautiful work, isn't it? Becca, the winner of the "Bonds of Justice" ARC Contest has just posted her review! Book club time! How's the reading going everyone? Doing some final editing on GH #3. Thought you all might like another sneak peek. The clash of steel, the slide of sweaty, slippery bodies, the wild life of it all, it exhilarated Raphael. He sparred with his Seven once in a while, but it had always been a practical exercise, to keep his physical skills sharp. Elena fought like it was part of her very self, and her joy in it infected him until it was a pulse beneath his skin. I found this while I was looking for a picture for my Oddshots post today, and had to share! I'm speaking at the Australian Romance Readers Awards Dinner this Saturday the 15th in Sydney. Registration is still open, so if you'd like to come, don't forget to register! I'm a huge fan of the Valdemar books and I didn't know Changing the World released last December. It was such a pleasure to come across it! 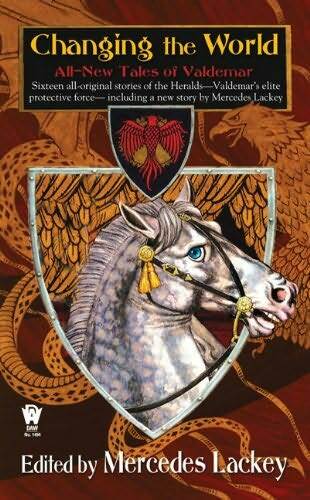 The collection is edited by Mercedes Lackey and the first story is by her. The other stories are written by a number of different authors, but feature the Valdemar world. If you haven't read this series, I think you'd be fine starting with either the Magic, Wings or Arrows trilogies. Your turn - what've you been reading and loving? WINNER: Thanks for all the great comments everyone. I've just run the random numbers and the winner of Erin's giveaway is Cait045. Congratulations!! I'm delighted to welcome Erin Quinn back to the blog today! I was lucky enough to read Haunting Warrior a little while ago, and thought it was a wonderful book - full of passion and magic. It just swept me away to another time and place. If you'd like to read an excerpt, you can find one on Erin's website. However, I'd suggest reading Haunting Beauty first, as I think the books build beautifully on each other. 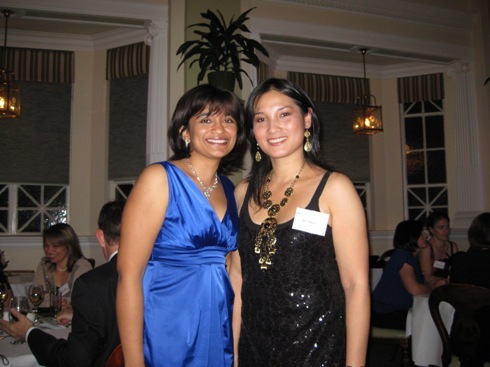 Nalini, thank you so much for having me here at your blog. I’m a big fan and frequent visitor so it’s an honor to be a guest as well. You made my whole month when you contacted me to say you thought HAUNTING WARRIOR was awesome and you couldn’t put it down. I was at a writers conference and happy dancing all over the place. My roommate thought I was nuts . . . but then, she usually does think I’m nuts. People have asked me what I loved about writing HAUNTING WARRIOR and my answer is simple. Rory. 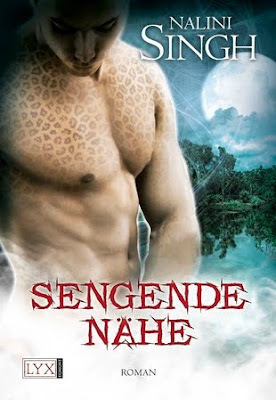 Rory is the amazing hunkus maximus you see on the cover and in my head when I was writing him—he was just as gorgeous. I fell in love with Rory almost from the first word. Readers met Rory when he was just a little boy in HAUNTING BEAUTY, but now he’s all grown up and he’s coping with a whole lot of trouble. He’s just traveled through time, following a woman he’s been dreaming of for weeks. Now he finds himself trapped in the body of another man—a man who could be his twin and who is about to marry Rory’s dream woman. Saraid has agreed to marry a man she despises and fears because she is honor bound and prays the match will end the war on her people. Here’s an excerpt from one of my favorite scenes when she first begins to realize that the man she’s wed is not who she thinks he is. Saraid took a deep breath when he lowered his head to kiss her, feeling dizzy and sickened and something else she could not define. As if sensing the turmoil inside her, he caught her gaze and held it for a moment, his searching, probing. She felt as if he were trying to say something with those enigmatic eyes, and for a flashing instant she felt again that sense of another lurking behind the sky blue of them. What a frightening mystery this man was, she thought. And then his mouth settled over hers and thought fled. His kiss was warm and soft when she’d expected cold and hard. The touch of his lips gentle and coaxing when she’d prepared for rough and invasive. The kiss was brief, and yet it felt that time stopped for the length of it, giving her the chance to feel every nuance, every unexpected instant. It seemed he tried to pull back and then hesitated, allowing just another moment of the contact that shocked her like a hot ember popping from a blazing fire to burn her. With their hands bound and trapped between their bodies, Saraid could do little more than allow it. She’d be allowing so much more later, when they were alone. He pulled away, just enough so that he could look into her eyes again, and she saw something there that she did not understand. Confusion that matched her own. A need—but not the kind she’d expected. Not lust, but longing. 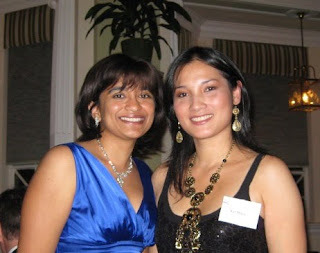 Thanks again for having me, Nalini! I’d love to give away an autographed copy of either ECHOES or WHISPERS (books by me, writing as Erin Grady) to someone who leaves a comment! Tell me, what do you love best about the heroes you read? (Contest now closed). I'm absolutely delighted to announce that Elena from Angels' Blood won the Romantic Times Reviewers Choice Award for Best Urban Fantasy Protagonist. Go Elena!! In further good news, several of my books are to be translated into Spanish (the first two GH books, and the first three Psy/Changeling books). Woohoo!! 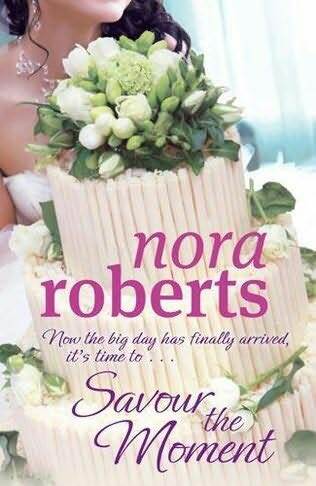 Readingwise, I wanted to mention Savor the Moment by Nora Roberts which was released last week. It's a wonderful book. I'm really loving the Bride Quartet series - can't wait for Parker's story. I just know fireworks are going to fly there! p.s. We have an awesome guest tomorrow, so don't forget to drop in. Thanks for all your entries in the ARC Contest! To pick the winner, I assigned all of you a number, whether your entry came in by blog comment or email, deleted any duplicate entries, then ran the random number generator.